Sega-16 has covered the Sega Technical Institute in more detail over the past three years than virtually any other source, and our recent historial on the group included interviews with over a half dozen former members. 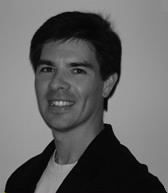 One of the most recent was with former producer Mike Wallis, a man who got his start at Electronic Arts and eventually went on to work on several titles, including the cancelled Sonic Xtreme. He had some interesting details to share about his time at the STI, so check out our full interview and get the scoop! From its creation in 1991 to its struggle to survive the transition to the 32-bit generation, the complete story of the Sega Technical Institute can now be told. Everything you want to know is here, including some heretofore unknown tidbits on cancelled titles like Spinny & Spike and the truth behind the relationship between the Japanese and American teams. In our tireless efforts to document every aspect of the Genesis experience, Sega-16 has spoken to literally dozens of personalities from the era, including half a dozen former members of the Sega Technical Institute. 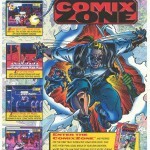 Recently, we spoke with Peter Morawiec, designer of Comix Zone and Sonic Spinball. Mr. Morawiec had a lot of great stories to share about his work at the STI and his time at Sega, and he’s graciously provided us with never-before-seen concept art and demo videos of the aforementioned games, as well as a Sonic game that to have been based on the Sonic SATM cartoon. This video hasn’t been seen in years, and probably by no one outside of the STI itself! What are you waiting for? At the height of the 16-bit era, an elite group of creators enjoyed creative freedom at Sega that many developers today would kill for. The Sega Technical Institute was the home of some of the brightest minds in the industry, including Mark Cerny, Peter Morawiec, and Roger Hector. Among them was a young artist who would go on to work on one of the most controversial titles in Sega’s history, Sonic Xtreme. Chris Senn saw his fair share of interesting things while he worked at the House that Sonic Built, and he recently chatted with Sega-16 about his experiences.